With 1 billion users from WhatsApp and 900 million users from Messenger, Facebook is about to dominate the end-to-end encryption messaging wars. The social network giant has finally made “secret conversations” in Facebook Messenger available to all users, following a beta test of the feature in July. 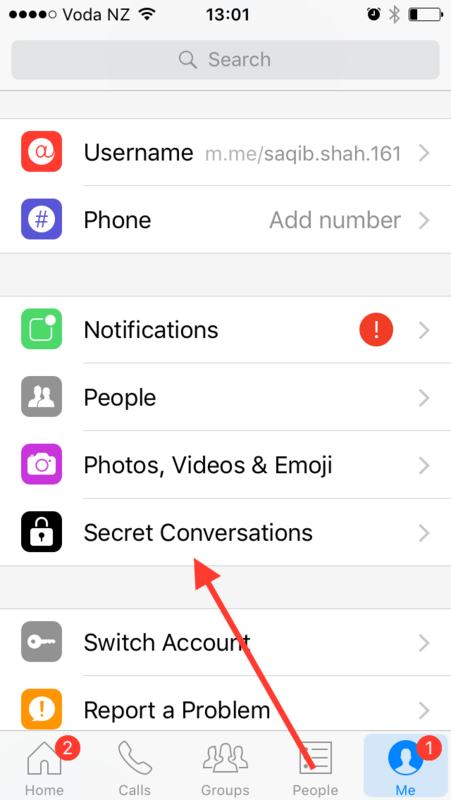 Secret conversations allow you to have a fully encrypted chat with another Messenger user that cannot be seen by anyone — not Facebook, the FBI, or the NSA. However, instead of automatically enabling the function for all users (in the vein of WhatsApp), Facebook has put the power in your hands. Consequently, you have to activate the encryption feature every time you wish to have a private conversation. There are two ways you can enable a secret conversation. When you open the app, you can initiate the feature by tapping to compose a new message, and then selecting the “secret” option at the top right, after which you can choose whom to chat with. If you wish to trigger a secret conversation within an existing thread, start by tapping on the person’s name you’re chatting with at the top of the app. You’ll be taken to the thread’s profile, where you can tweak other settings like the color of the thread, add nicknames, and more — these are features that were introduced a while back. You’ll find secret conversations in there, and once you tap it you’ll enter the end-to-end encrypted thread with the same person. For more secure messages, you can set a timer for when the message should disappear. Both the sender and recipient must have the latest version of Facebook Messenger installed for the feature to work. Keep in mind that secret conversations cannot be applied to group messages, and do not appear on Messenger for desktop. 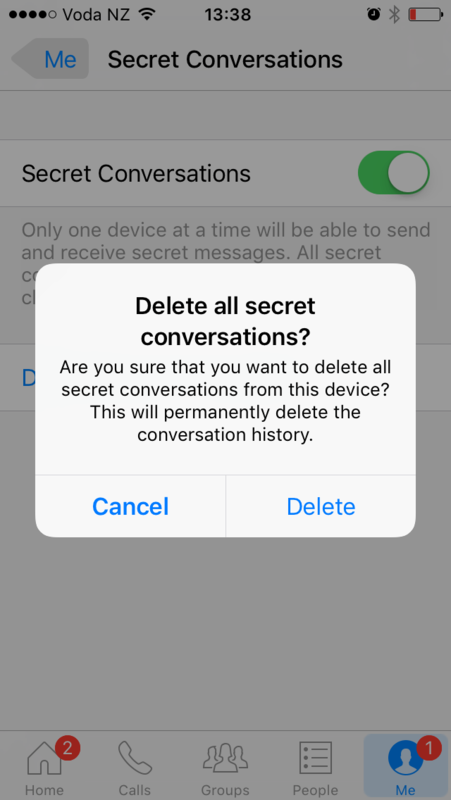 You also have the option to delete all your encrypted chats in one go from within your Messenger profile tab. While the National Security Agency leaks from 2013 by Edward Snowden may have turned the spotlight to privacy, it was really the court battle, or lack thereof, between Apple and the FBI that jump-started the encryption war. The showdown began with the 2015 San Bernardino shootings, where the shooter left behind a locked iPhone. Apple initially aided the FBI, but the bureau secured a court order requiring the Cupertino company to create a tool to weaken the iPhone’s encrypted framework. Apple rejected the court order, but the FBI dropped both that case and another related one when it managed to break into the subject iPhones thanks to a technique it purchased from professional hackers. That jump-started a wave of messaging apps to enable end-to-end encryption app-wide — Wire, WhatsApp, which is owned by Facebook, and Viber turned on the secure messaging function for all users. Then, in September, Google followed suit with the launch of its AI-assisted Allo messaging app, which came with its very own Incognito Mode that uses end-to-end encryption. The mode is a compromise — a way to have end-to-end encryption while still being able to use features like the artificially intelligent Google Assistant, a Google representative told Digital Trends. The same goes for Messenger, although Facebook may have chosen to go down the manual activation route after witnessing the obstacles faced by WhatsApp in countries such as Brazil, whose government has clashed with the company over data decryption. It’s worth mentioning that other messaging apps have been deploying end-to-end encryption for a while, including Apple’s iMessage, Telegram, Threema, Signal, and more. Secret Conversation’s encryption protocol, Signal, comes from Open Whisper Systems, the non-profit that powers end-to-end encryption in WhatsApp, Allo, and Signal, its own messaging app. 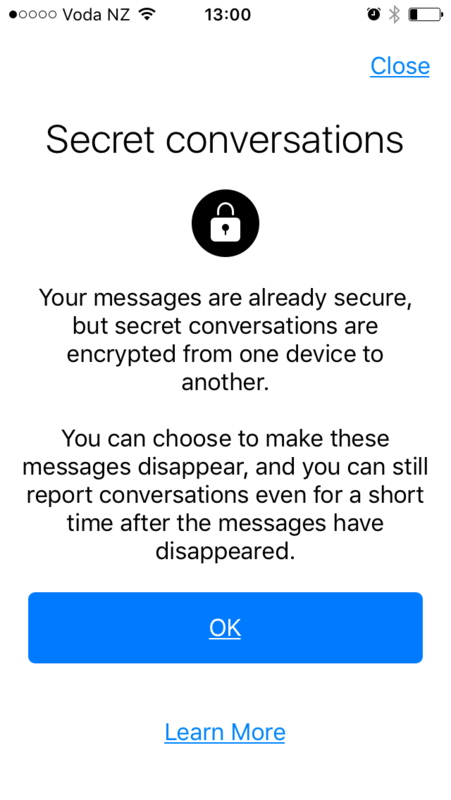 The social network giant has released a white paper on Messenger’s end-to-end encrypted features, which provides a technical overview of how secret conversations work. You can check it out here. Updated on 09-21-2016 by Lulu Chang: Added news of general secret conversations rollout. Updated on 10-04-2016 by Saqib Shah: Added news of general launch of secret conversations and activation instructions.